Dwarf variety of snow pea that stays manageable at 3 feet tall and thrives in cool, wet climates. Prized for its plump, tender pods, harvest when young and continue picking to promote further fruiting. 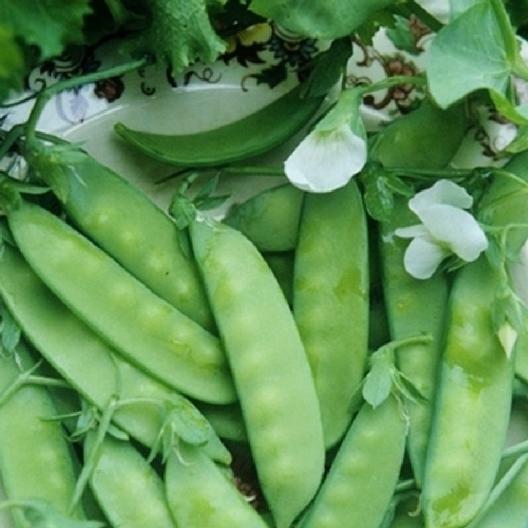 Eat Sugar Snow Peas raw straight from the garden, stir fry or steam them for a sweet and delicious addition to dinner!